Maker showing latest iteration in Geneva. The 570GT gets the same 562 horsepower twin-turbo 3.8-liter V8 as its 570S sibling for 2017. 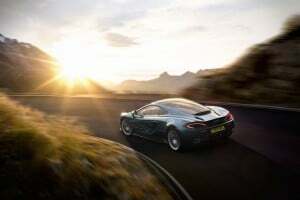 McLaren continues to rise from the ashes with the second of what is expected to be three vehicles in the 570 family – the 570GT – just in time for the Geneva Motor Show. Actually, it’s the third of three, but only the 570GT and 570S are sold in the U.S. The 570GT gets the same 562 horsepower twin-turbo 3.8-liter V8 as its sibling, the 570S, but it also gets a new roof and rear, including a spoiler and an aerodynamic package. But no formal investigation, government says. 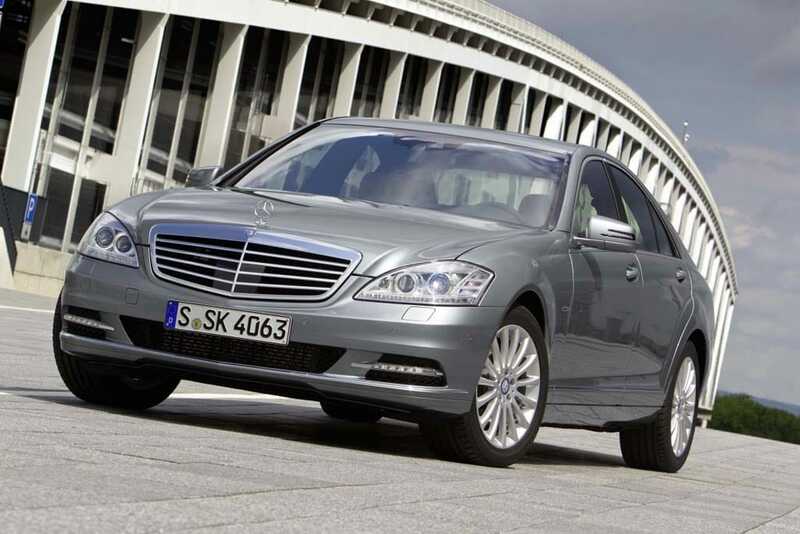 In 2012, Mercedes launched a U.S. S-Class diesel for the first time since 1995. Barely a week after a Seattle law firm filed a class action lawsuit against luxury carmaker Daimler AG, the U.S. Environmental Protection Agency confirmed Monday that it is looking into claims the automaker’s diesel vehicles were illegally rigged to pass American emissions standards. The agency says it wants data but cautions that it has not yet opened a formal investigation. Parent of Mercedes-Benz denies allegations and says it is fully cooperating with the government. Limited-edition ultracar aiming to regain world speed record. 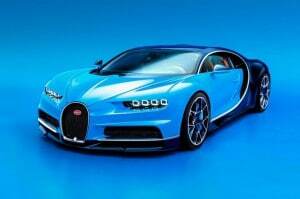 The long-awaited successor to the Bugatti Veyron has made its debut a day ahead of its official unveiling at the 2016 Geneva Motor Show, and whether you’re talking price, power or performance, the numbers are staggering. To run by the basics, the new Bugatti Chiron will punch out 1,500 horsepower, launch from 0 to 60 in less than 2.5 seconds, and top out at 261 mph, enough to put it on target for a new world speed record. Oh, and did we mention the starting price of $2.6 million? A Source You Can Trust! Hot hatch upgrade debuting in Geneva. 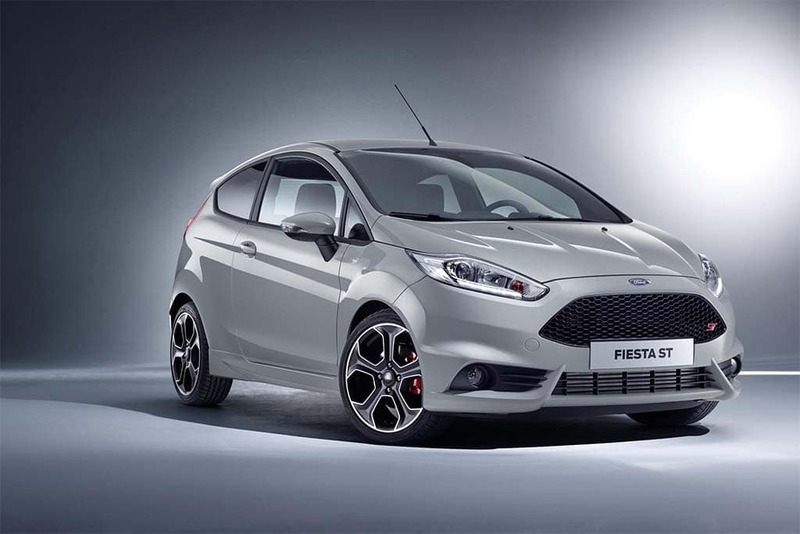 The new Ford Fiesta ST200 can make up to 217 horsepower in its overboost mode. 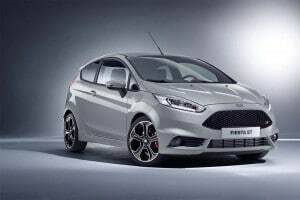 Ford is heating up the hot hatch wars with the Geneva Motor Show debut of the new Fiesta ST200. Already one of the sportiest entries in the subcompact class, the new Ford Fiesta ST200 gets a big pump in performance out of its 1.6-liter EcoBoost enging, generating up to 212 horsepower and 236 pound-feet of torque in overboost mode. Automaker looking to raise stock price with effort. 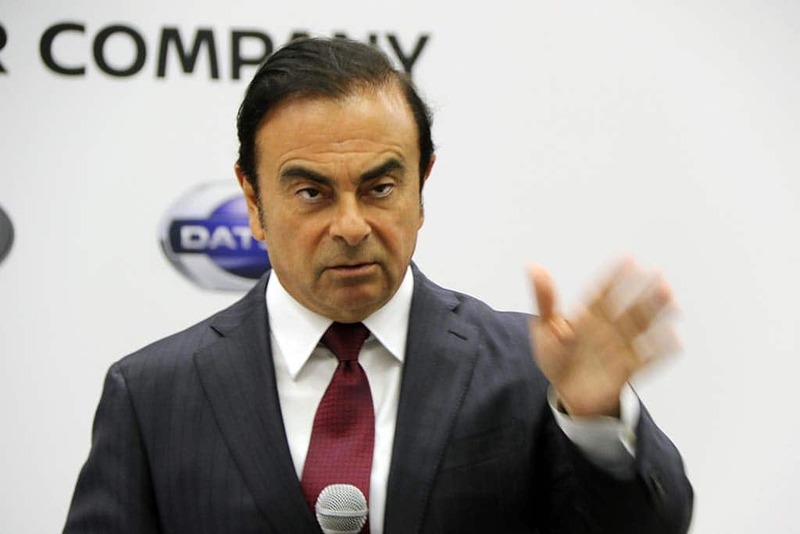 Nissan Chief Carlos Ghosn hopes to raise the automaker's share price with a $3.5 billion buyback of stock this year. Nissan Motor Co. announced plans to repurchase $3.5 billion worth of its own shares before the end of 2016 to enhance return to shareholders, the company said in a statement. “Return to shareholders is one of Nissan’s key objectives. We took this decision considering our financial status and outlook to continuously generate significant free cash flow,” said Carlos Ghosn, Nissan president and chief executive officer commented, adding the company was making an effort to balance the it’s financial strength and needs deriving from future business strategies. Bill forcing Tesla to use dealers tabled until summer. 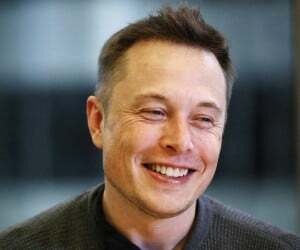 Tesla CEO Elon Musk won the first battle with General Motors in Indiana about franchise dealer laws. Round one of the fight between Tesla and General Motors over the EV maker’s ability to sell cars in Indiana without a dealer network has gone to Elon Musk. Indiana lawmakers essentially tabled a bill put forth by State Representative Kevin Mahan that would have required Tesla to establish franchised dealers. GM helped Mahan craft the bill. Deadline set for March 24. 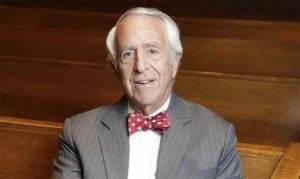 Judge Charles Breyer want VW to speed up diesel repairs, settlements with owners. A federal judge in San Francisco is giving Volkswagen a month to come up with an acceptable fix that would bring 600,000 polluting diesel vehicles into compliance with U.S. emissions laws. The announcement by U.S. District Judge Charles Breyer comes as the maker begins repairs of more than 10 million other diesel vehicles it sold outside of the United States. But so far, the German maker hasn’t been able to come up with a solution that will satisfy the Environmental Protection Agency, which first revealed last September that VW had cheated on diesel emissions tests. “Plenty of room” to boost performance of new supercar. Acura began taking orders this week for the all-new 2017 NSX, marking the return of the 2-seat supercar after a decade’s absence. The new model isn’t just an update of the old NSX. Acura has opted for a unique new hybrid drivetrain pairing a twin-turbo V-6 with three electric motors. The package delivers a solid 573 horsepower and 476 pound-feet of torque, enough to hit 60 in well under four seconds, according to preliminary tests. 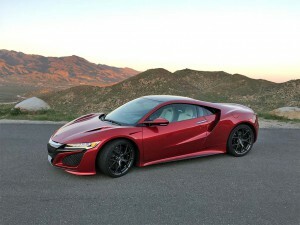 But in a world where even 600 horsepower has become almost commonplace, Acura insiders told TheDetroitBureau.com that they’re looking at ways to bump power and performance up another notch or two – and that could mean the introduction of an even more extreme Acura NSX Type-R within the next several years. 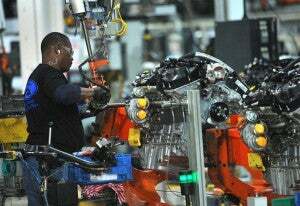 $145 mil program targets Cleveland Engine Plant. 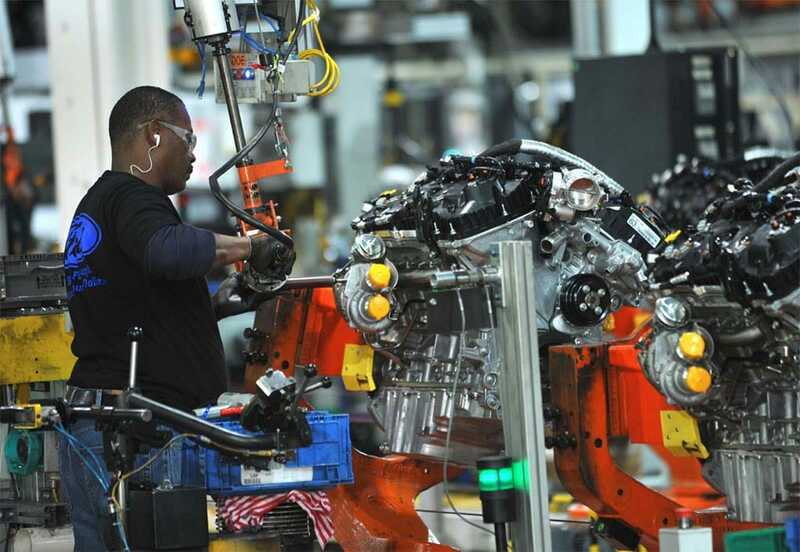 A worker assembles a 3.5-liter EcoBoost V-6 at Ford's Cleveland Engine Plant. Even with cheap gas, motorists have been migrating away from traditional engine choices, and that’s convinced Ford to pump $145 million into the Cleveland Engine Plant producing one of its key alternatives, the 3.5-liter EcoBoost engine used in a variety of models such as the big F-150 pickup. Ford plans to make the turbocharged engine – which serves as an alternative to traditional V-8s – available on a wider line-up of vehicles in the coming years. It’s taking a similar approach with other members of the EcoBoost family which include engines as small as a 1.0-liter 3-cylinder package. “Ford customers have embraced EcoBoost’s unbeatable combination of power and efficiency, with more than 60% of F-150 customers choosing trucks powered by EcoBoost,” said Joe Hinrichs, Ford President of The Americas Joe Hinrichs, said in a statement. Leasing, longer-term loans on the rise in U.S.
Fitch Ratings is warning that the subprime delinquency rate is on the rise. 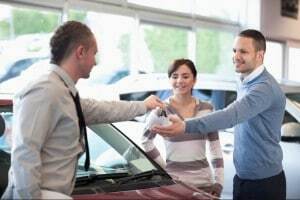 Even with sales booming, the auto industry got another warning about easy credit as Fitch Ratings reported that delinquencies on U.S. subprime auto-related asset backed securities have reached a level not seen since the 2008-2009 recession. The underperforming loans, which have been bundled into securities sold to investors, come from recent vintages driving the increase, according to Fitch. A recent report from Experian also noted rising level of delinquencies in car loans.